Belgium beercountry? Of course! But we also like to explore beyond our borders. We found the inspiration for our brewpub concept in our travels abroad. Our brewpub is a place where you can taste beers, but also the place where we brew. We keg our beers but we can also store them in large taptanks that are directly connected to our taps. Needless to say they’re always superfresh! Yep, that’s right, 30 taps! Some of them are of course our own beers, on the other ones you will find our selection of Belgian, American, German,…beers. 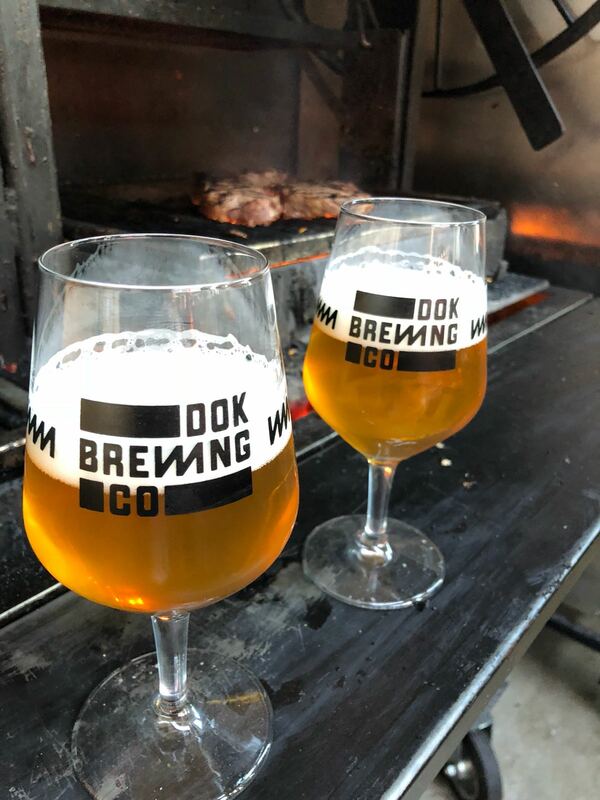 Also on tap: a kombucha (a fermented tea beverage), a cider and a cocktail from Dorst, a Ghent-based company that specializes in kegged cocktails. We also have a can and bottle fridge where you can find other gems. Water, soda’s and wine are also on our menu. (fill in a Belgian classic beer)…Probably not. Our philosophy is to broaden the horizons, so you’ll definitely find Belgian beers, just not the classics you can find in most other pubs. You don’t know where to start? No problem! We’ll find a beer that suits you. To avoid choice stress, you can order a taster flight, your very own selection of small tasters (10 cl).